Finally – back in the blogging business. It has been a bit of a dry spell. With all the Google updates, the release of our new website, keeping up with our blog has never been so important. In addition, we want to communicate and keep up with our customers so they can keep abreast of new developments in our service offerings. We continue to build our relationships in many fundamental ways to be able to offer more printed circuit board options to our customers. In addition to adding to our lineup of domestic resources, we have added expanded capabilities in our off-shore sources as well. One of our long time suppliers has upgraded their factory to the capability of pushing 900k/sq ft of production per month. 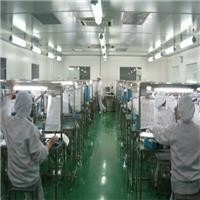 With flawless quality, they have produced effortless for our large volume customers for all types of PCB Manufacturing. As a PCB fabricator, we continue to take pride in pushing our factories to be the best in price, quality and delivery and we are getting that type of performance from our factories month after month. Our continuous investment in our supply chain is paying off as we are proud to announce that PCB Solutions, LLC had a record Q1 and is on pace for a very solid Q2. With no debt and positive cash flow, and the addition of several new customers in the past 6 months we are building a foundation for strong future for years to come. Check out our next blog post this week when we discuss the specifics of our new Flex and Rigid Flex PCB supplier.